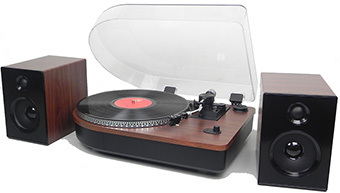 Our Steepletone Camden record player is more than just a good analogue record player. It also includes a handy Bluetooth receiver, so you can wirelessly play music from your smartphone through it. 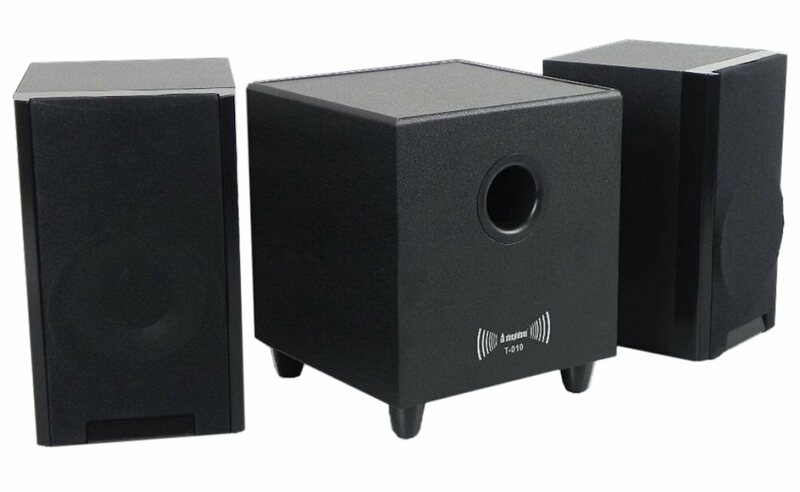 Steepletone is a British company that has been making high-quality audio equipment for 35 years, so you know you are buying a reliable product from a reputable company. The Bromley range has a real wood veneer finish. What we particularly like about this music centre is the quality, which is very good indeed for this price level, and its good looks. It also scores well because it is just so simple and intuitive to use. Universal stylus for 33/45/78 rpm records. Many of us have family record collections of records, but nowhere to play them. 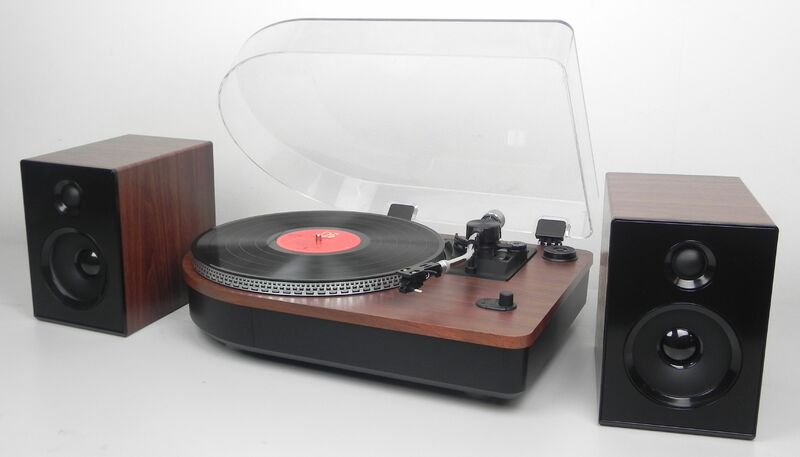 Old record players, if they have been used over many years, can actually damage records, so it is important, if you wish to keep your collection in good order, to use a record player that is both high quality, and in full working order (especially the stylus!). 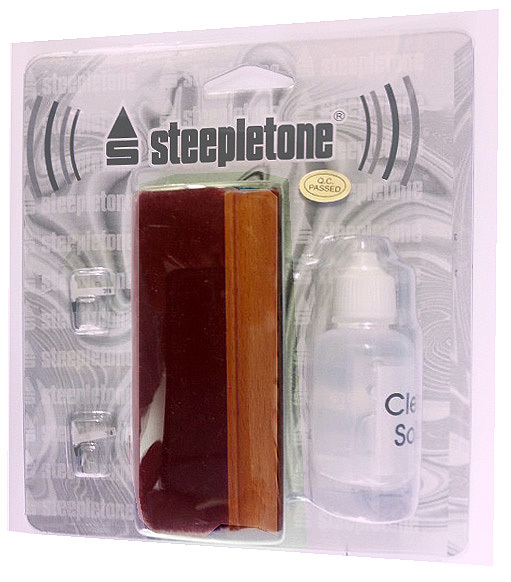 Steepletone is a British company that has been making high-quality audio equipment for 35 years, so you know you are buying a reliable product from a reputable company.